In response to a Sullivan County, Tennessee parent who wants an entire world history textbook removed from her local school district’s seventh grade curriculum due to what she calls “Islamic indoctrination” in the unit on world religions, CBLDF and its partners in the Kids’ Right to Read Project have sent a letter to the superintendent and school board members outlining the First Amendment issues at stake. The first time she spoke during the school board’s public comment period last month, Michelle Edmisten said that her daughter had refused to complete a test that included basic questions about Islam including the name of the religion’s holy book and a listing of the Five Pillars. Her daughter received a grade of zero on the test, but Edmisten felt that she should have been offered an alternate assignment instead. 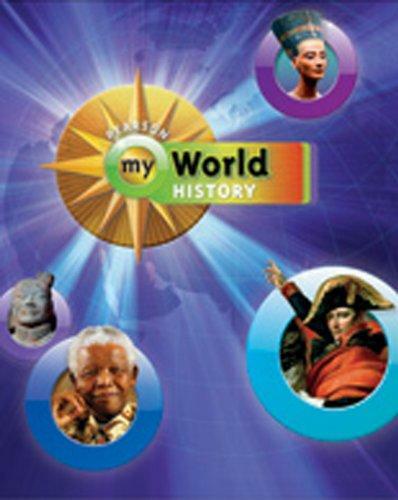 At that first meeting, Edmisten demanded the immediate removal of the textbook My World History, but was told that she would need to follow the challenge policy by submitting her request in writing on the district’s Request for Reconsideration of Materials form. She turned in the form at the subsequent board meeting this month, meaning that a review committee appointed by the principal of Bluff City Middle School subsequently has 15 working days to examine the book and its suitability for the curriculum. The committee will recommend a course of action to the principal, but if Edmisten is not satisfied with the initial decision she may appeal it to the school board. It is impossible for any book—let alone a seventh-grade world history textbook—to convey the history of Islam in its entirety [as Edmisten has asked]. Educating students about Islam does not constitute Islamic indoctrination. Educating students about major religions promotes tolerance and historical awareness. Both are vital to the flourishing of our democracies. Removing a textbook because it offends the beliefs of some parents raises serious First Amendment concerns. Finally, the letter also urged Sullivan County Schools to draw upon the National Coalition Against Censorship’s resource Islam in the Classroom: Teaching About Religion Is Not Religious Indoctrination. NCAC also maintains a timeline of similar challenges across the country, which have grown increasingly frequent in recent years. Marjane Satrapi’s Persepolis, for instance, has been a particularly popular target. Below, check out the entire letter from KRRP encouraging Sullivan County Schools and members of the review committee to prioritize pedagogical value and First Amendment in considering the fate of My World History.